Written at a time when furious arguments were raging about the best way to govern America, The Federalist Papers had the immediate pratical aim of persuading New Yorkers to accept the newly drafted Constitution in 1787. In this they were supremely successful, but their influence also transcended contemporary debate to win them a lasting place in discussions of American political theory. 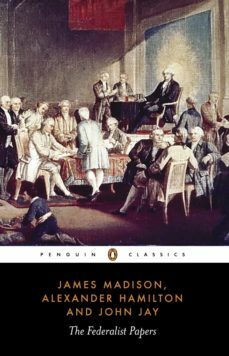 Acclaimed by Thomas Jefferson as the best commentary on the principles of government which ever was written, The Federalist Papers make a powerful case for power-sharing between State and Federal authorities and for a Constitution that has endured largely unchanged for two hundred years.